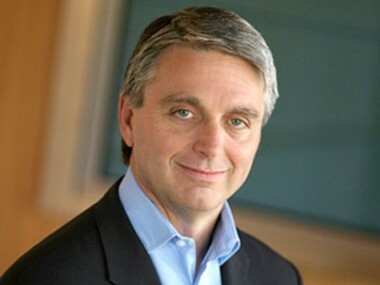 There’s no doubt it has been a tough year for Electronic Arts and its CEO John Riccitiello. Over the past 12 months, the gaming giant’s stock has been cut in half, falling to $13.12 a share, down from a high of $26.13. At those levels, its market cap has shrunk to $4.2 billion, making the company potentially tasty acquisition bait for larger fish. That valuation puts it slightly below its key digital competitor, Zynga, which continues to dominate the Facebook platform in spite of several failed attempts by EA to topple it. EA has also lost a number of high-level executives to Zynga. And its big releases of Battlefield 3 and Star Wars: The Old Republic have struggled against rival Activision’s comparable titles, Call of Duty and Diablo 3. Still, in an interview with Riccitiello this week ahead of gaming’s biggest annual gathering — E3, kicking off tomorrow in Los Angeles — he was sounding like it’s all high scores for EA. What that unusual image means exactly is unclear, but one assumes he hopes to impress at least some of the 45,000 attendees converging on Los Angeles Convention Center like zombies staggering toward fresh brains. Once there, they will be overstimulated by ear-splitting music booming from a space — dotted with massive booths — about the size of eight football fields. But for EA and the other companies showing off their wares, it’s an ever dicier situation. That’s because the show continues to celebrate blockbuster console hits over clear consumer trends focused on an increasing number of devices and platforms, as one-time purchases of $60 games are giving way to free-to-play models that make a few pennies per user every month. 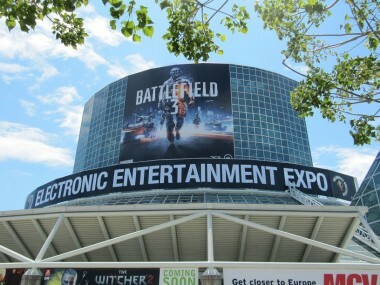 In fact, about 90 percent of EA’s business used to come from the console arena, and now it’s closer to 60 percent. In the fiscal year 2012, EA generated $1.2 billion in digital revenues, representing a 47 percent increase year over year. But in the build-up to E3, Riccitiello contended that, like so many other cycles in the past, the industry will get out of this lull too, and he’s pinning his hopes on new console hardware coming out from Sony, Nintendo and Microsoft this holiday season. Each generation has built a software business that is 50 percent bigger than the one before, and that was entirely made up of a packaged goods business. I don’t think console and packaged goods are synonymous, like how music and CDs aren’t synonymous. The delivery system has changed from a disc to a more digital model. It’s shifted to a service, like iTunes and Spotify. Consoles are super-powered PCs that are connected to the biggest screen in the house. There’s no doubt in the mind that the TV set is going to remain as the principle display device for entertainment going forward. At some point they [investors] are going to have to wake up. When you are on the podium at the end of the Olympics, you obviously know how to swim. But they are still saying that we need water wings. I get it, I understand the cynicism that prevails. If you read our fillings, you would see that they earned a significant portion of their earnout, so they must have done something right. If you go to E3, you will see a major introduction that will usher in a long train of products, which was only made possible by Playfish investment. We are three years out from [realizing the full value of the deal], but the vision we have — and the direction we are going — has been made possible by a platform and culture and technology shift. And a gigantic part of that had to do with an infusion of Playfish’s DNA. We used to peak on usage a week after we shipped. But all of our games have an ongoing business now, and Playfish was the model for all of that. Maybe I wish the Sims Social had sustained longer, but relative to the impact it [Playfish] has made on our company, I can’t say enough about it. It says that people pay are willing to pay a lot of money for EA talent, but we had lower attrition than Google last year. … There were a notable number of high-profile executives who left for 300-600 percent more money. … Even at depressed stock prices, they got $12-$13 million to show up on day one. I take it as a compliment that someone is willing to spend $20 to $40 million dollars on my employees. Those are staggering sums. I just guided 30 percent income growth, which is better than any of my competition, and delivered a great fiscal 2012 with 40 percent growth on digital. I don’t think my team is missing a beat. Would I want them back? Not now, but I do understand it from a money perspective. I get it.